Chinese Courses for kids are designed for Children aged from 3 to 15 years old, in order to arouse their interest in studying Chinese and improve their Chinese language skills. We suggest for the kids to start learning Chinese as soon as possible, the earlier they start to learn they earlier they’ll master it. At Mandarin Zone School, our experienced teachers will create through active teacher-student communication, an enjoyable, focused learning environment and to activate and expand what the students’ have learned. Teacher will use cartoons, stories, games and other teaching materials according to kids’ age, ensuring productive and fun Chinese classes. A personalized study plan for kids learning Chinese based on each child’s learning style and pace. We teach kids practical skills that can be most useful for everyday life. 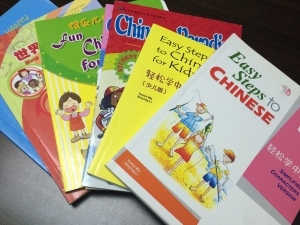 Moreover, we offer a variety of interesting topics that make learning Chinese for kids effective and fun! The course concentrates on practical daily conversation, help kids’ to building their confidence in speaking Chinese. It’s an international standardized test of Chinese language proficiency to assesses young foreign students’ abilities to use Chinese in their daily and academic lives. The new YCT consists of a writing test and a speaking test, which are independent of each other. The writing test is divided into four levels, namely, the YCT (level I), YCT (level II), YCT (level III), and YCT (level IV). The speaking test is divided into the YCT (Beginner Level) and YCT (Intermediate Level). To discover more about our offers for your children feel free to get in touch with us.